Oscar-nominated actor Don Cheadle will present Robert Downey Jr with the Shining Star Award and joins the star-studded line-up at the 4th Annual Wishing Well Winter Gala presented by Make-A-Wish Greater Los Angeles on December 7, 2016 at the Hollywood Palladium, it was announced by Neal Aton, President and CEO of Make-A-Wish Greater Los Angeles. The Gala, hosted by two-time Emmy winner and EXTRA host Mario Lopez, will also honor entertainment industry power broker and multi-media entrepreneur Scooter Braun and the Los Angeles Kings, and will feature performances by Grammy-nominated artist Tori Kelly and the X Ambassadors. Cheadle will present Oscar-nominated Downey Jr. with the Shining Star Award for the dozens of wishes that he has granted to children around the world. 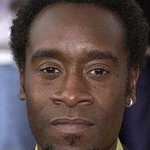 Cheadle and Downey have starred together in numerous Marvel franchises such as Iron Man 2, Iron Man 3, Avengers: Age of Ultron and Captain America: Civil War. Entertainment industry entrepreneur Scooter Braun will receive the Humanitarian Award, presented by Tori Kelly, who will also perform. Braun has granted hundreds of wishes for Make-A-Wish through his talent roster that includes Kelly, Justin Bieber and Ariana Grande. The LA Kings are being honored with the first ever Power of a Wish Award because of the team’s many years of philanthropy, wish granting and involvement helping to further the Make-A-Wish mission. Hockey star and former team captain Luc Robitaille will accept the award on the Kings’ behalf. The Power of a Wish Award will be presented by wish kids whose special wish was to meet the Kings.